ERP (Enterprise Resource Planning) is an end-to-end solution to connect a variety of business aspects including product planning and development, manufacturing, sales, and marketing. A standard ERP software provides businesses with great efficiency in managing all these processes from one place. These process management tools act as a single source for all business data: orders, catalog, inventory, customer accounts,..
ERP can be utilized to streamline operations and boost efficiency for both enterprise-level businesses and small/medium businesses with large production output. There’re numerous platforms offering ERP software products that can be integrated with Magento system, including Microsoft Dynamics, SAP, NetSuite and much more. 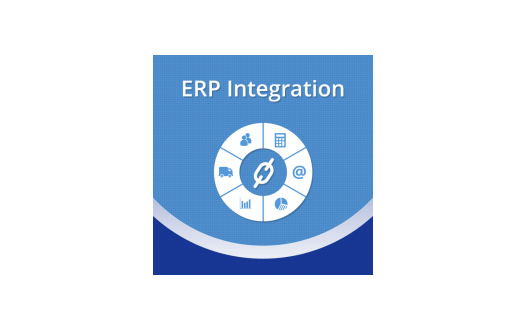 ERP integration extension is developed by the Magento Premier Extension Buider Aheadworks to allow for smooth integration of Magento websites with almost any ERP solution. The extension makes sure all key data is automatically synchronized between Magento and ERP system: Order placed within Magento store are instantly imported to ERP system while product updates from ERP are updated in the web store in real-time. The fast and secured synchronization process can handle thousands of orders and stock updates everyday without any data loss. Flexibility: the ability to integrate with almost any ERP System. Synchronization: All key data including products, orders, price/stock updates, customers is automatically synchronized. Security: Data transition between Magento & ERP is secured via HTTPS. Reliability: Updates are queued up and any error occurred can automate a warning email to eliminate any possibility of data loss. Independence: Keep Magento & ERP independent of each other so that breakdown on any side won’t affect the other. Customizable: The extension is 100% open-source, making it easy to custmize. 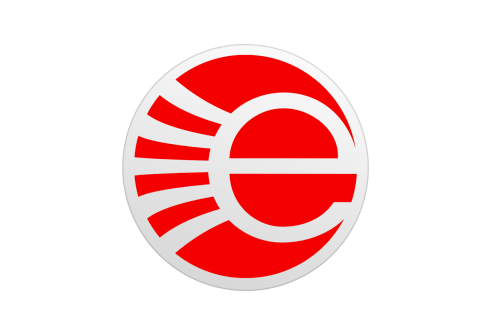 ERP integration by Ebridge aims at automating key business processes to eliminate the need for manual data entry. Its powerful, cloud-based ERP and accounting integration solutions support more than 30 popular ERP systems including Sage, Microsoft, SAP, NetSuite, Epicor, and Intuit QuickBooks. It allows for data entry automation of product updates, orders, customer data, pricing/ inventory levels between Magento and ERP system to avoid costly errors. The solution is a good fit for Margento merchants with more than 200 orders a month or spend more than 10-15 hours a week on manual data entry. 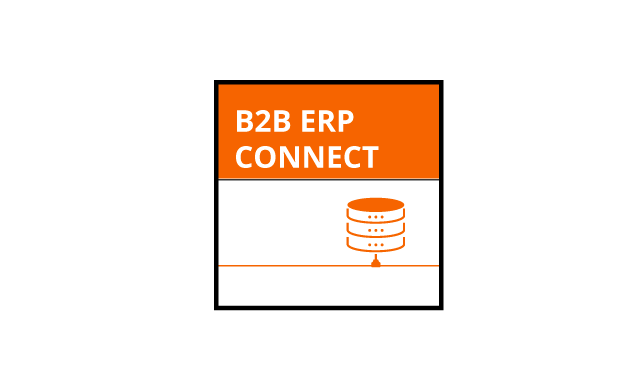 The ERP Connect delivers world-class, real-time SAP-Magento integration to help industrial manufacturers and distributors modernize their sales and order management processes. With the extension, companies can offer their customers a B2C-like online experience and the ability to self-service their orders 24×7. 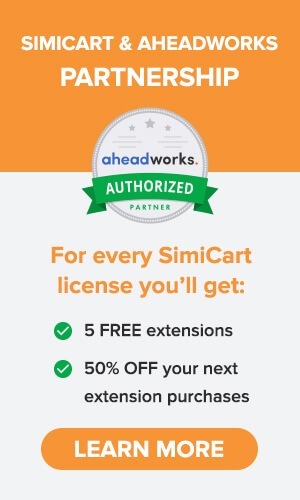 The solution is great for businesses operating in multiple states, countries, or currencies with complex B2B model . Dynamic data from SAP including B2B pricing, freight, tax, inventory, buying rules and discounts is delivered in real-time to customers on Magento site. Farapp provides a cloud-based solution to integrate Magento storefronts with NetSuite and other ERP backends. The software empowered your Magento store to sync orders to ERP and update fulfillment data from ERP. It allows you to manage product catalog, automate product updates like attribute options, product images from your ERP to Magento storefront. 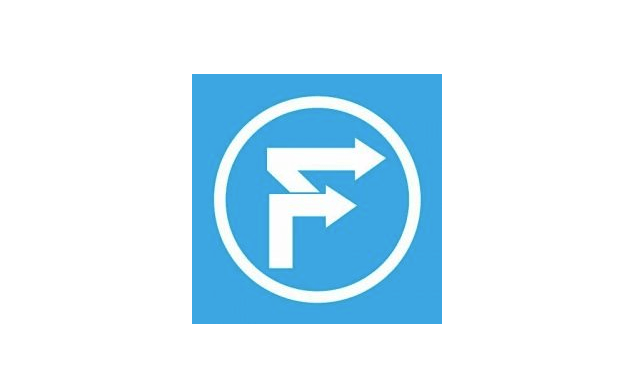 With ERP Connector by Farapp, Magento merchants can run online business from a centralized ERP backend to save time and money. APPSeCONNECT is the emerging business software to connect Magento with various ERP platforms including SAP, Microsoft, Sage, Acumatica, Netsuite etc. The software enables real-time, two-way data exchange between Magento and ERP to streamline operations, thus increasing productivity and efficiency. 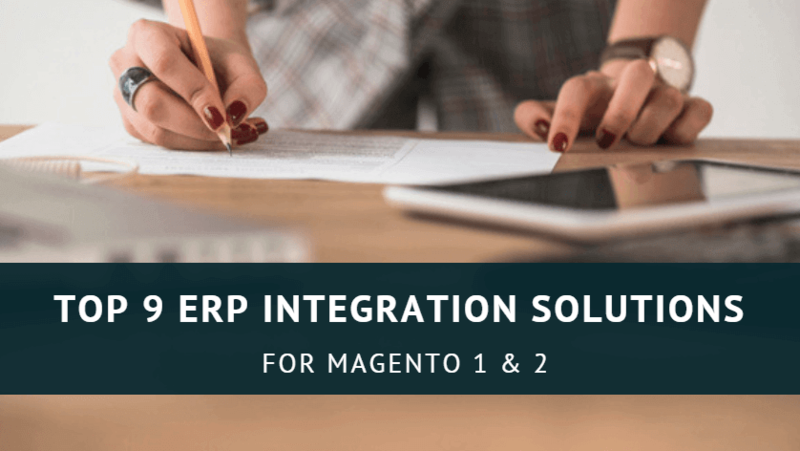 Merchants can select the ERP system they want to connect with Magento and share their integration requirements with APPSeCONNECT team for further discussion and actions. 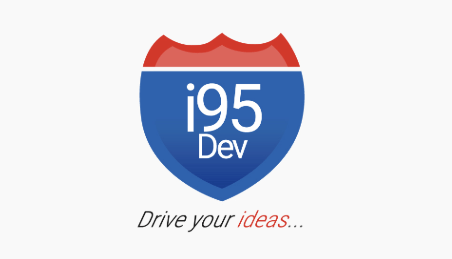 i95Dev provides a flexible and agile solution to automate information sync, including orders, customers, products and inventory between Magento and ERP systems. It helps reduce costs in managing numerous disconnected systems and outdated manual information sync techniques. Using i95Dev’s solution merchants can improve operational efficiency while providing their customers an enterprise-level experience. 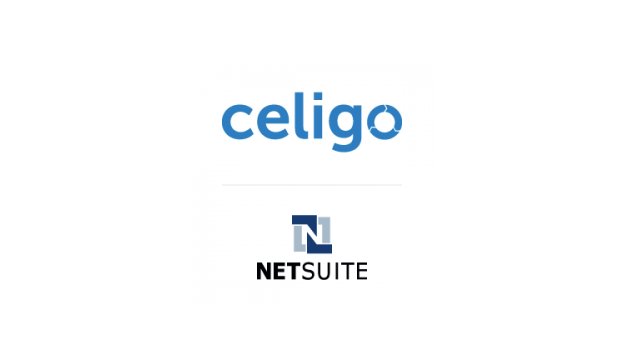 NetSuite SmartConnector is a pre-built integration to connect Magento with NetSuite ERP for timely order fulfillment, real-time inventory, accurate order statuses, cancellation and refunds. Using SmartConnector, Margento merchants can have their order, customer and product information quickly and easily integrated without any IT support. By automating processes that rely on Magento & NetSuite, it helps businesses efficiently scale operations while minimizing on-going costs. 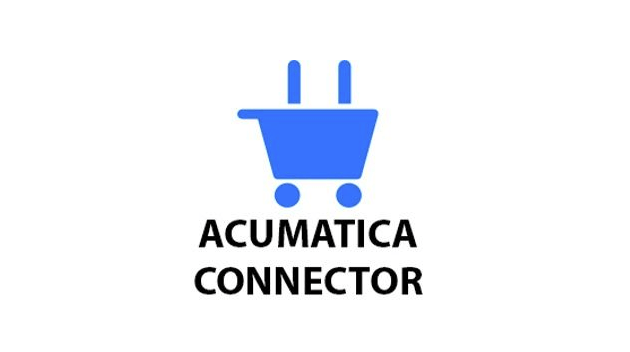 Acumatica Connector is the scalable business management solution to integrate Magento and Acumatica Cloud ERP. The extension allows businesses to manage all their operations, including inventory management, shipping, accounting, CRM with a single tool. Connected to Magento, Acumatica serves as a single source for all accurate, updated ecommerce data needed for businesses to make informed decisions. CommerceLink is the efficient middle-ware allowing Magento platform to seamlessly sync ecommerce data with Microsoft Dynamics 365. CommerceLink create a unified system for centralized channel management by efficiently transferring sales orders, inventory,.. in real time. 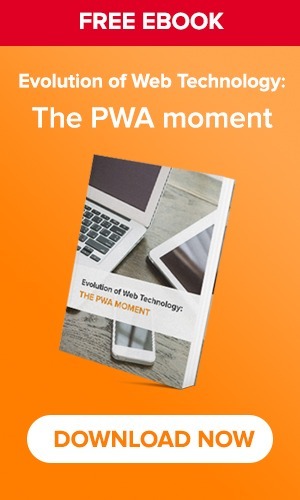 It takes advantages of both platforms to eliminate error-prone, time-consuming manual integration and deliver a consistent brand experience across all channels. Customers: Customer data is synced between systems as soon as a new customer account is created on your Magento website. Whenever a customer’s information is updated, it is synced instantly within Microsoft D365. Sales Orders: When an order is placed in the Magento store, it is forwarded to D365 with customer information, product line items, shipping, payment, discount and tax details.